The Norwegian Glacier Museum give you answers. Did you know... That Jostedalsbreen is the largest glacier on the European continent? That there are 2534 glaciers in Norway? That Jostedalsbreen is not a remnant of the last ice age? Did you know that there are 2534 glaciers in Norway? There are 1252 in the southern part of Norway, together covering an area of 1523 km2. In the northern part of Norway there are 1282 glaciers covering 1169 km2. In addition, Spitsbergen has 2128 glaciers, and they co an area of totally 36591 km2. 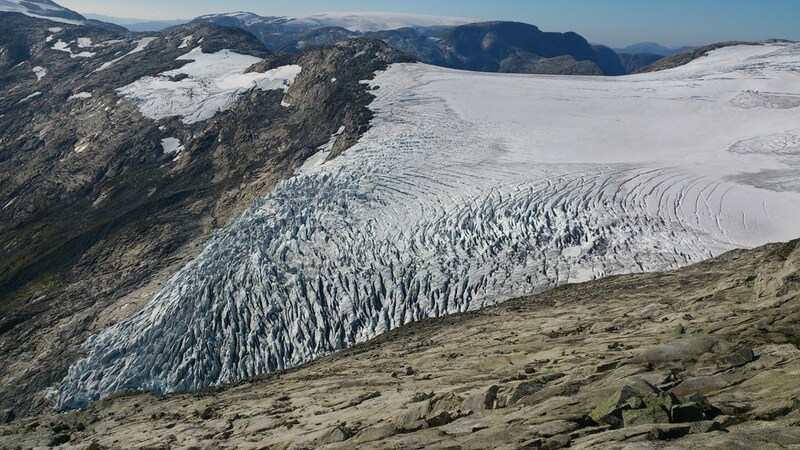 Vetle Bøyabreen Glacier 2014. Photo: Pål Gran Kielland. Did you know that Jostedalsbreen is the largest glacier on the European continent? Did you know that Jostedalsbreen is not a remnant of the last ice age?